A female pharaoh? A woman general in the Kahn's army? A female Viking raider? No way, you say? Look again. 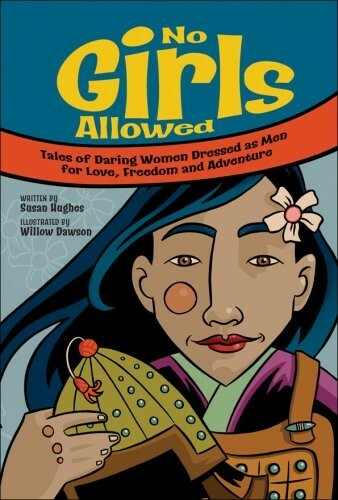 Appearances can be deceiving... Based on legends, poems, letters and first-hand accounts, these seven biographical tales tell of women who disguised themselves as men. From ancient Egypt through the Middle Ages to the 19th century, this historically accurate graphic novel treatment is perfect to transport readers back to bygone eras. The lives of these daring women were often filled with danger and the fear of discovery. However, for the sake of freedom, ambition, love or adventure, these women risked everything. 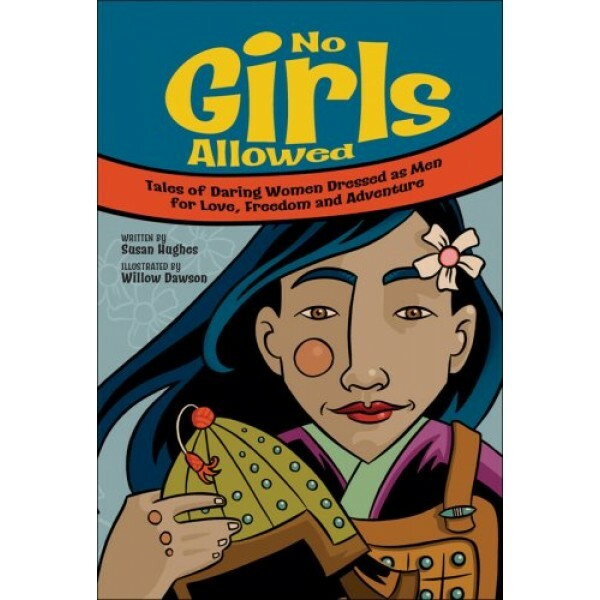 No Girls Allowed brings a contemporary edge to a part of history largely untold - until now.